Did you know there are several different styles of metal roofs? Understanding pros and cons of each system will help you make a more-educated decision, as well as save some money and avoid unnecessary hassles in the process! 😉 Read on to learn more. 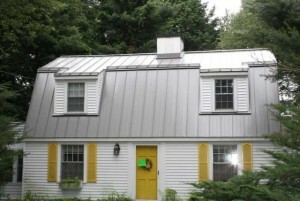 Also known as sheet metal roof comprised of vertical panels, featuring characteristic raised seams, hence standing seam. Pros: One advantage of this system is the design incorporating concealed fasteners, which means there is no risk of unwanted roof leaks associated with any exposed fasteners becoming loose over-time, and/or rubber seals around the exposed fasteners drying out and developing cracks. 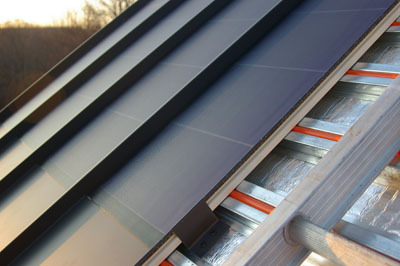 Another advantage of standing seam is its PV solar-ready design, which means that special mounting brackets such as S-5 brackets needed to hold solar panels in place can be easily attached to the raised seams. Thus, there will be absolutely no need to drill any holes or create any unnecessary penetrations in your metal roof. – This is something that would not be an option with any other system, if you wanted to get a solar system installed on your roof, unless of course you happened to have a flat roof. A notion that installing a “tin” roof over your house may seem old fashioned, or be somehow associated with the unattractive tin roofs on industrial warehouses, could not be further from the truth when it comes to modern metal roofing. – Tin metal roofs are some of the oldest and most reputable roofing systems in the world. They boast numerous advantages that are just as desirable today as they were centuries ago! In fact, modern tin (metal) roofing systems offer highly sophisticated and beautiful design options, superior strength, protection, and energy efficiency. For any homeowner looking to make a lifelong investment in their home, and get the most value for their money, a metal roof is an obvious choice. While today, metal roofs are often referred to as “tin roofs”, the reality is that no roofing product has ever been made of pure tin. In Europe metal roofs have been around for centuries, originating in ancient Rome, and were made out of copper, lead, and zinc. 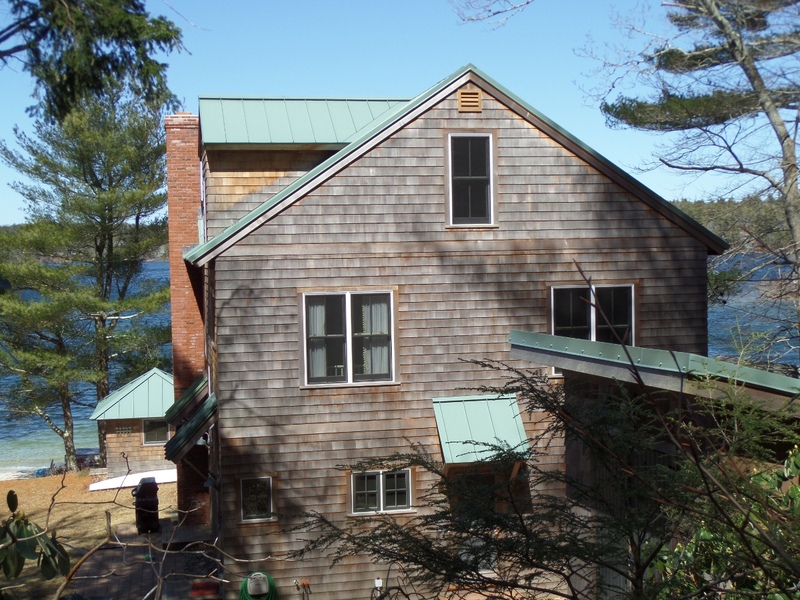 Metal roofing material was produced by heating and hand hammering the metal to a thin sheet. In the 17th century, tin was first used in Bohemia as a coating for rolled steel to prevent rust.